Perform Contact Ultrasonic And Magnetic Particle Examinations At The Shop And Field Job Sites On Welds , Forgings And Castings , By ASTM, ASME, AWS, API Specs And Procedures . Interpret Results And Make Final Reports. 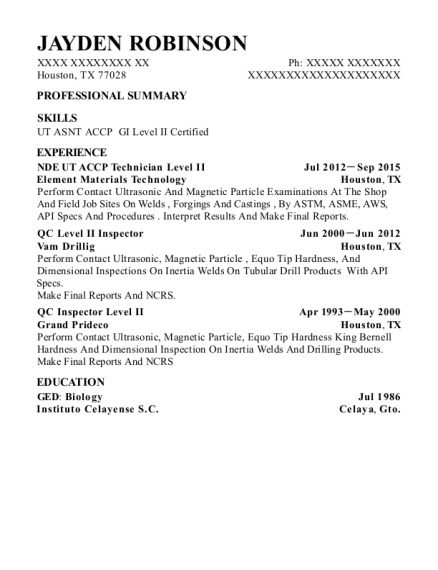 QC Level II Inspector Jun 2000－Jun 2012 Vam Drillig Houston, TX Perform Contact Ultrasonic, Magnetic Particle , Equo Tip Hardness, And Dimensional Inspections On Inertia Welds On Tubular Drill Products With API Specs. Make Final Reports And NCRS. QC Inspector Level II Apr 1993－May 2000 Grand Prideco Houston, TX Perform Contact Ultrasonic, Magnetic Particle, Equo Tip Hardness King Bernell Hardness And Dimensional Inspection On Inertia Welds And Drilling Products. GED: Biology Jul 1986 Instituto Celayense S.C. Celaya, Gto. 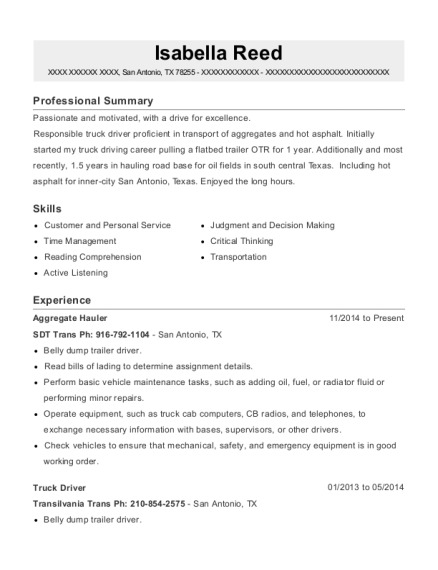 This is a resume for a NDE UT ACCP Technician Level II in Houston, Texas with experience working for such companies as Element Materials Technology and Vam Drillig. 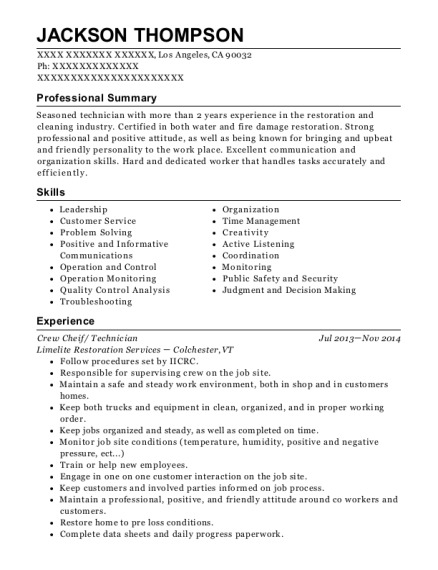 The grade for this resume is 0 and is one of hundreds of NDE UT ACCP Technician Level II resumes available on our site for free. 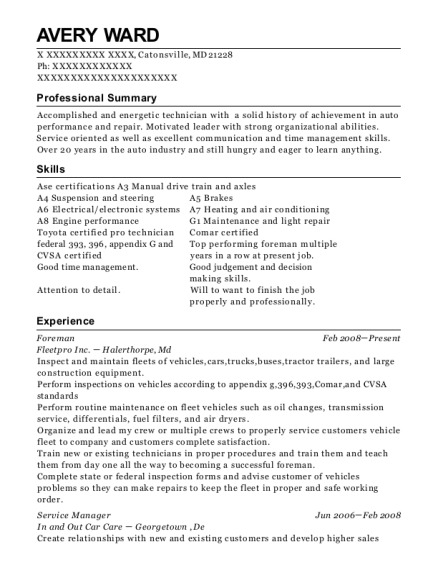 Use these resumes as templates to get help creating the best NDE UT ACCP Technician Level II resume.